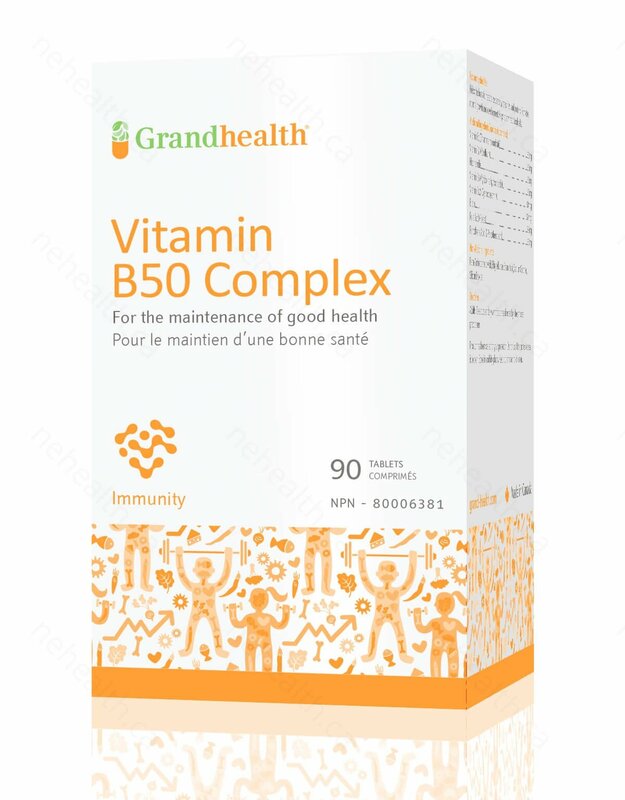 Grand Health’s High Potency B Complex contains a group of distinct water soluble vitamins, working together to boost your metabolism, maintain healthy skin and muscle tone, enhance your immune and nervous systems, and promote cell growth and vision. When combined these ingredients work to relieve the symptoms and causes of stress, depression, and cardiovascular disease. Vitamin B-Complex refers to all of the known essential water-soluble vitamins except Vitamin B3 & C. These include Vitamin B1, Vitamin B2, Vitamin B4, Vitamin B5, biotin, folic acid, and Vitamin B12. 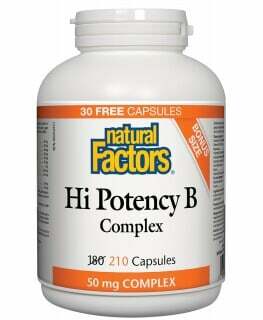 Vitamins B1, B2, and biotin act to improve energy production. 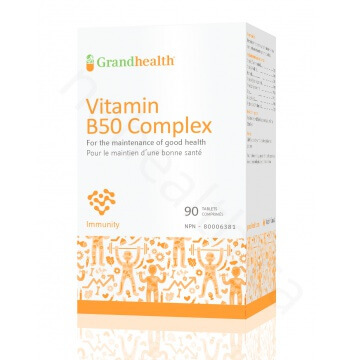 Vitamin B6 is an essential amino acid for your metabolism. Vitamin B12 and folic acid facilitate steps required for cell division. 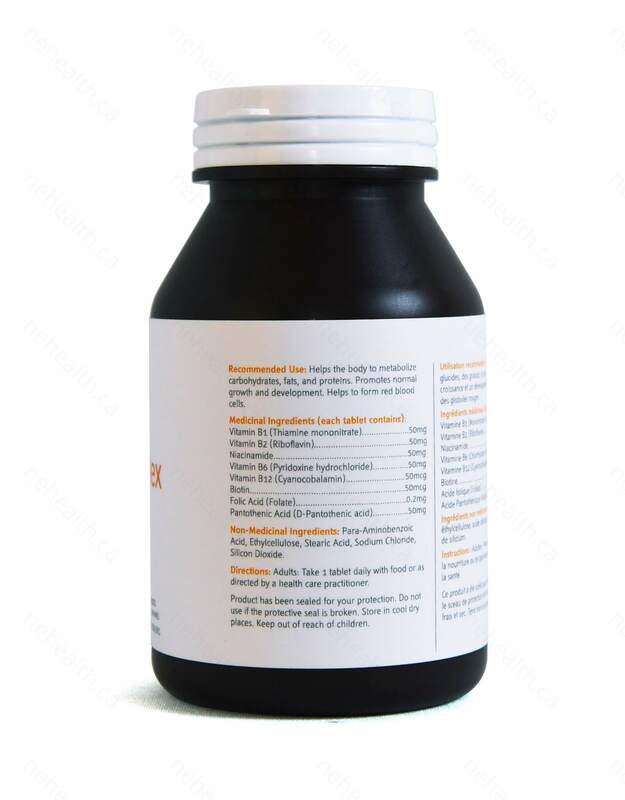 Take 1-2 Tablets daily or as directed by your healthcare practitioner. Bell, Iris R., et al. "B complex vitamin patterns in geriatric and young adult inpatients with major depression." Journal of the American Geriatrics Society(1991). Righetti, M., et al. "Homocysteine-lowering vitamin B treatment decreases cardiovascular events in hemodialysis patients." Blood purification 24.4 (2006): 379. Robinson, Frank Alfred. 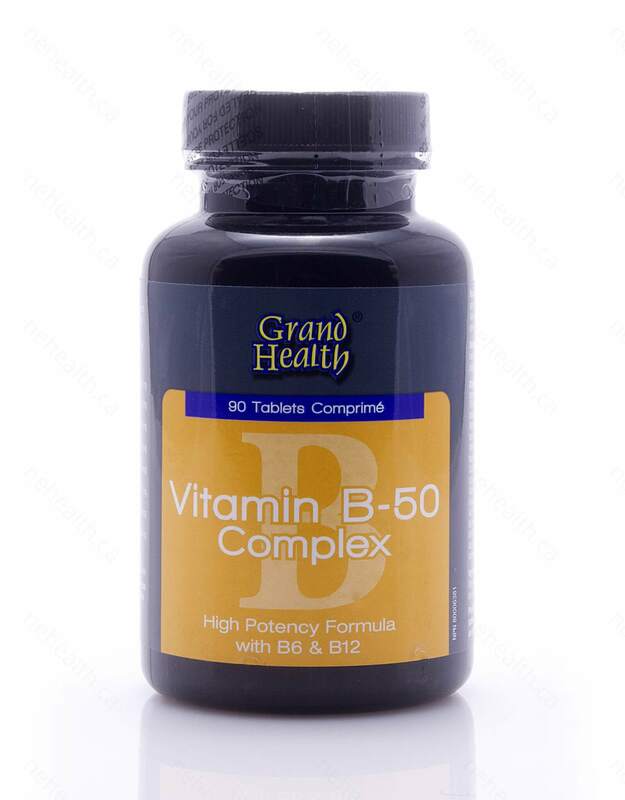 "The vitamin B complex." Soil Science 72.5 (1951): 407-408.